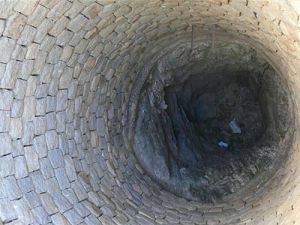 For as long as I can remember, I have used the imagery of an empty well to talk about the times in my life when I did not think I had any more to give. I have called on this metaphor when I felt I had run dry, had zero emotional reserves to draw from, and really couldn’t “be there” for one more person. Oddly enough, even when I was sharing the sentiment, I was usually also showing up to be there for that one more person. I would describe myself at those times as tired, empty, dry. Recently I sat with my hypnotherapist working through how I want my life to look, and I began discussing this emptiness that I felt came from too much listening and giving. The interesting thing about our conversation is that listening to others, being sounding board, and sharing ideas, advice, wisdom also seemed to invigorate me. It was then that she and I were able to piece together that I’m sought out for my opinions and help, because I am good at this. Because I do listen. Because others feel heard in my presence. Because I can often work with someone to find a next step. You see…Wells are fed from a source other than themselves. They draw from something deep below them that pushed the elements out of the way so that needs can be met, thirst can be sated, and life can be lived. Wells have a source beyond themselves. They are but a vessel. The truth is, I’m a vessel. A well, if you will. 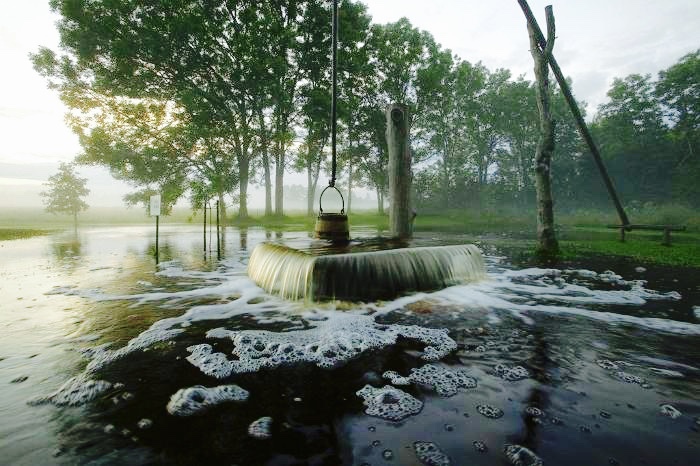 And my well has all the water it needs to quench not only my own thirst but to offer a drink to the occasional (though more than occasional right now) passerby who needs a drink. All I have to do is recognize that no one is taking from me in these exchanges. They are getting something from Source. From the Divinity that runs the show around here. From the Universal flow of life, energy, water, and sun that is needed to feed us and meet our needs. Each interaction where I am the listener, is an opportunity for me to draw from The Source and offer a cool glass of water to another. Each interaction is a chance for the speaker to reach forward and touch the life-giving energy that is not mine, but is beyond me. And though I will always need to remember to take care of myself, to feed from Source to meet my own needs, there is no taking that is done in those moments. In those offices where I listen to hurts, anxieties, and curiosity…there is only an exchange. A drawing from the well that is filled with life-giving nourishment that is beyond my ability to create. And for that I am grateful. Grateful to be the Listener at the top of the well.